According to POPSUGAR Fashion, combat boots are a huge style trend for Fall 2018. 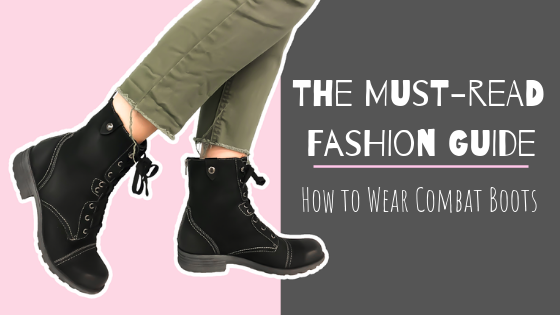 In Rogan's Shoes Must-Read Fashion Guide: How to Wear Combat Boots, we have styled a basic pair of combat boots, the Rockport Bethany, five simple ways that will make you an expert when it comes to what to wear with with combat boots. 1. Pair with cropped army green pants. If you don't have a pair of cropped army green pants sitting in your closet, you need to invest in a pair immediately. A pair of simple black boots with cropped army green pants will add a touch of edginess to your fall style. Throw on your favorite graphic tee to personalize this rebellious look. 2. Wear the laces loose. If you're feeling a rock star type of vibe, wearing the laces loose is a must. 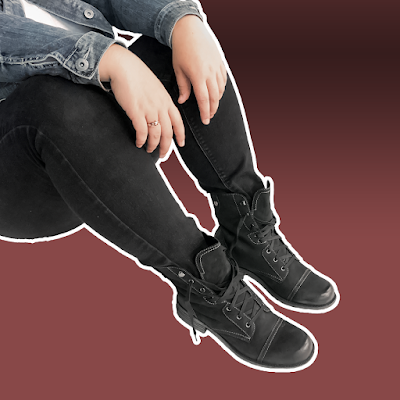 Pair your untied combat boots with black skinny jeans and a loose-fitting jean jacket for the ultimate rock and roll experience.Whether you're hitting up the latest concert or part of one of the local bands, wearing these basic black boots untied will be a perfect addition to your rock star outfit. 3. Add a pair of cute boot socks. A fuzzy pair of boot socks are a necessity for cool weather. Slide them on with a pair of combat boots for some extra warmth and comfort. The socks can stick out just enough to make them an essential piece of your fall style. 4. Roll up your jeans. 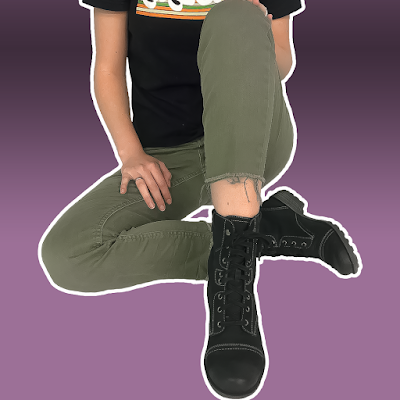 Travel back to the 90s by rolling up your jeans when wearing combat boots. This is one of our favorite looks because it's both effortless and simple. Pull out the leather jacket anytime, anywhere and you'll be dressed to kill. 5. Wear some comfy leggings. Who could go wrong with a comfy pair of leggings? Grab a pair and slip on some combat boots for a style that you can either dress up or dress down. Either way, you'll be comfy and stylish no matter what your plans are for the day. 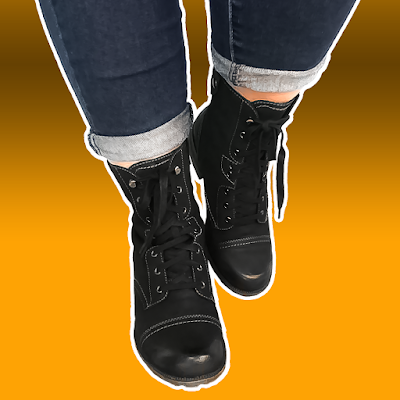 How do you wear your combat boots? Let us know in the comments below!